Astronomy / astrophotography can be done, even indoors! 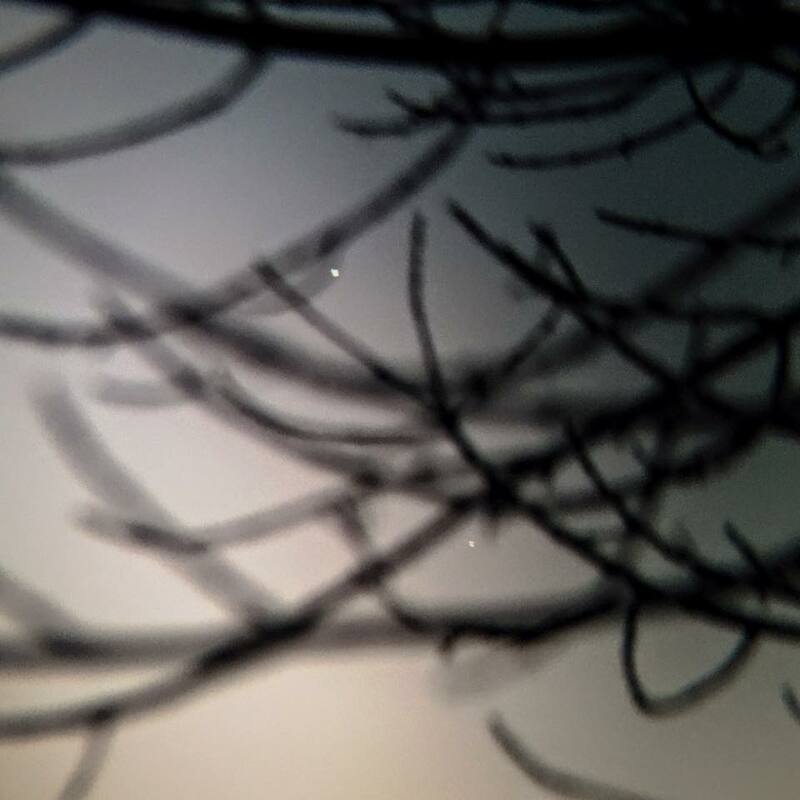 I caught Venus and Mercury peaking through the trees just before sunset. Snapped this pic with my phone through some binoculars… inside, through the window! It’s too cold to go outside!